This site is in tribute to the amazing life lived by JJ, which was tragically cut short on November 18th 2005. Please check back shortly, we will offer a place for those who loved him to share our memories, stories and photos. 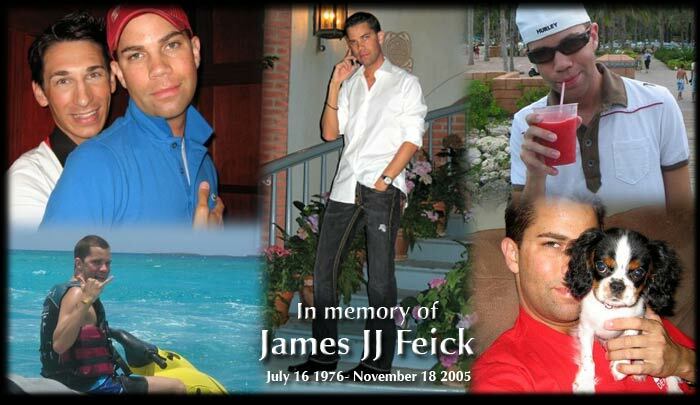 "JJ Feick, our beloved son passed away on Friday 11/18/05. To all of his friends, please understand that JJ loved you all and will miss you. And, we will miss him... our son, our friend. Thanks to Tyler Ingle for supporting us as paramedics tried vainly to save his life. We plan to hold a celebration of his life. Plans will solidify once we get over the sudden death of a wonderful, caring person"